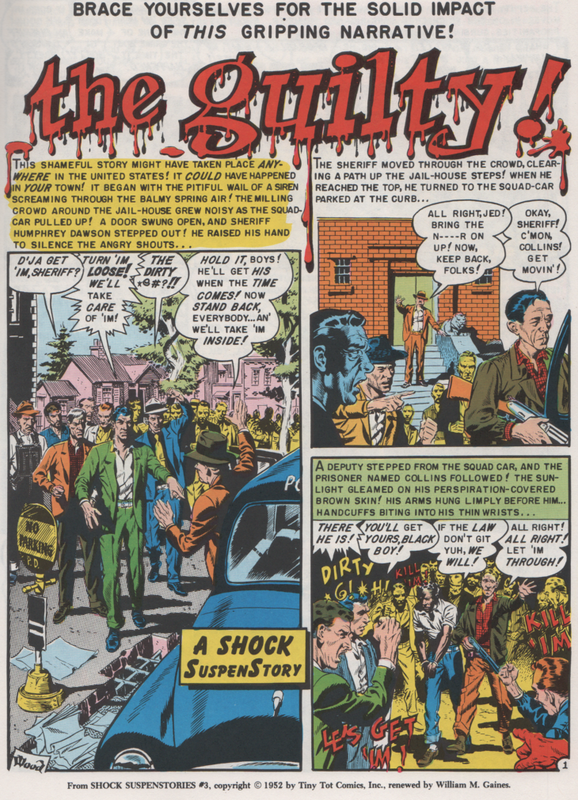 Johnny Craig | Magazines and Monsters! 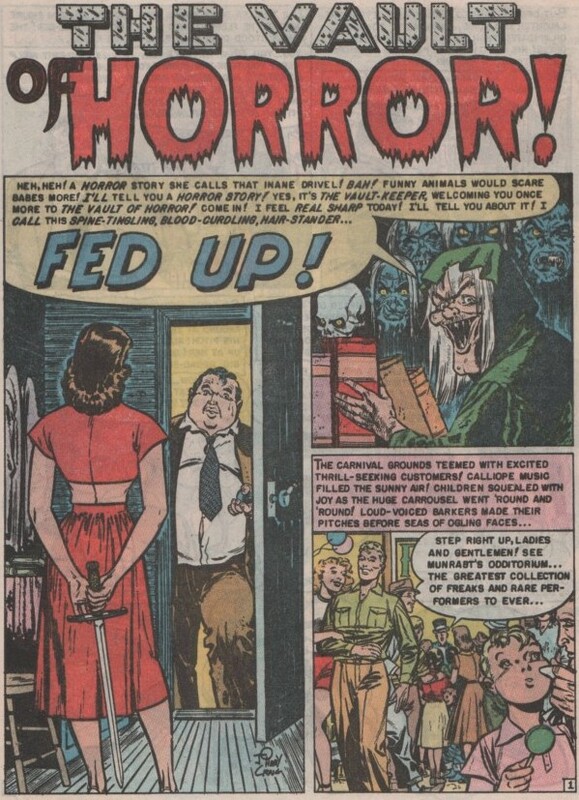 EC comics was no stranger to controversy. That said, putting a racist organization (not in name but visually) on the front cover of one of their books was wild. They were already under fire for their horror covers that featured decapitations, severed limbs, people being strangled to death, and even a maniac with an ice pick chasing kids through a graveyard! This cover was different though, as this wasn’t fantasy for many, but a sad and truly horrific reality. Without going into a social lecture, I think we can all just say that this book showed a very ugly side of our country’s past that should remain there. 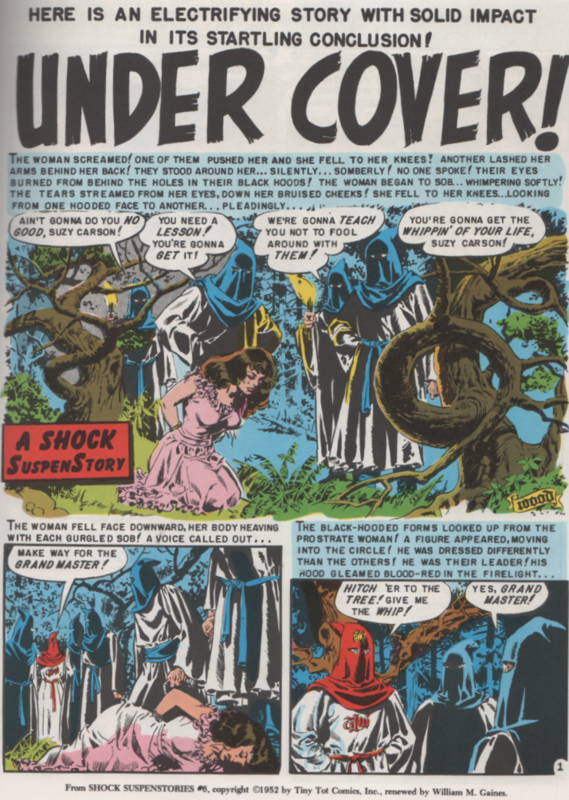 The first story shows this “group of hooded men” as they have a woman bound and are going to torture her for consorting with “them” (black people). 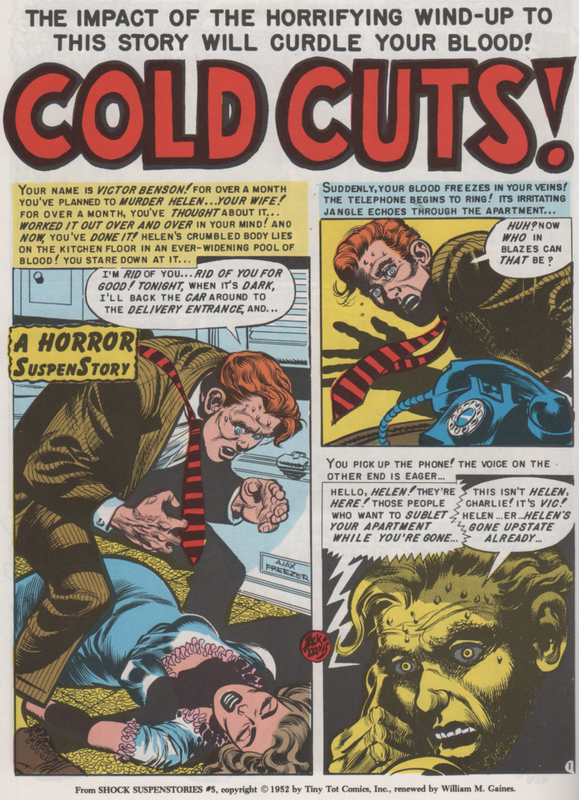 A grim tale of reality and not a happy ending, Written by Al Feldstein (with plot assist by Bill Gaines), art by Wally Wood, and letters by Jim Wroten. The following story is about a soldier who is afraid of dying in combat. Nothing too crazy here but incredible artwork. 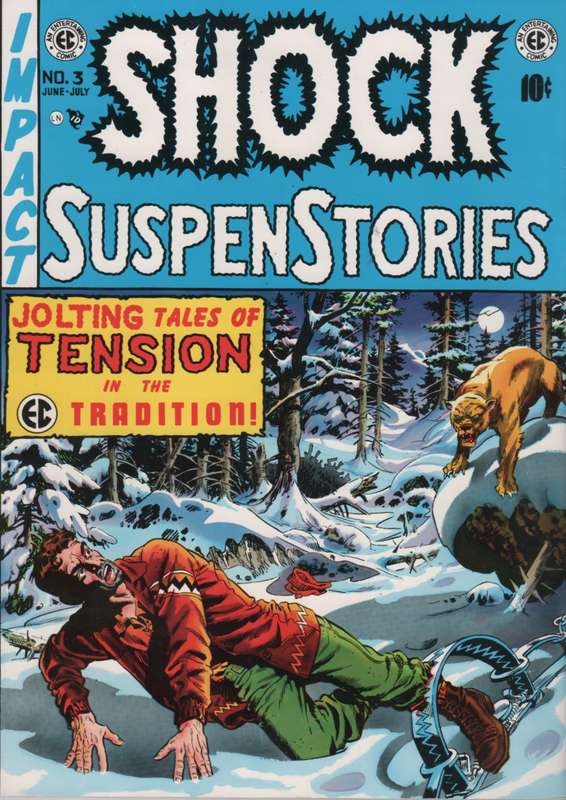 Written by Al Feldstein (with plot assist by Bill Gaines), artwork by Jack Davis and Johnny Craig! Next, we get a sci-fi story where a certain member of a team doesn’t respect the plant life on an alien world…an regrets it. 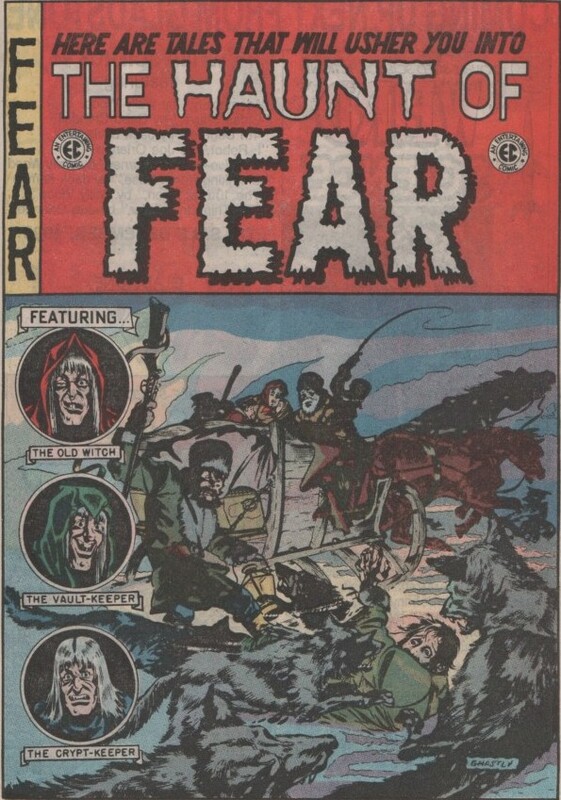 Written by Al Feldstein (with plot assist by Bill Gaines), art by Wally Wood, and letters by Jim Wroten. A creepy orphanage and the man who runs it is the subject of “Halloween.” A gruesome ending in this one! 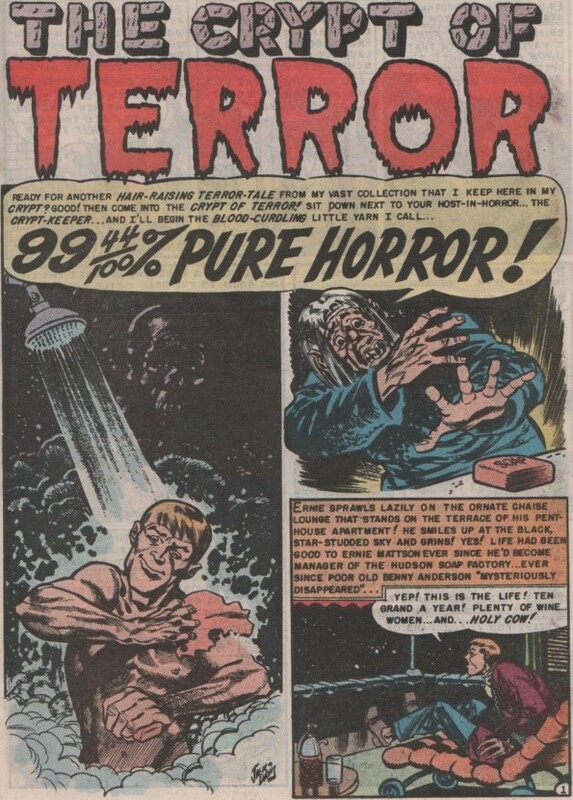 Brought to us by Al Feldstein (writer, with plot assist by Bill Gaines), art by Ghastly Graham Ingels! Another story centered around racism and corruption tells the story of a black man wrongly accused of murder, then gunned down in cold blood! 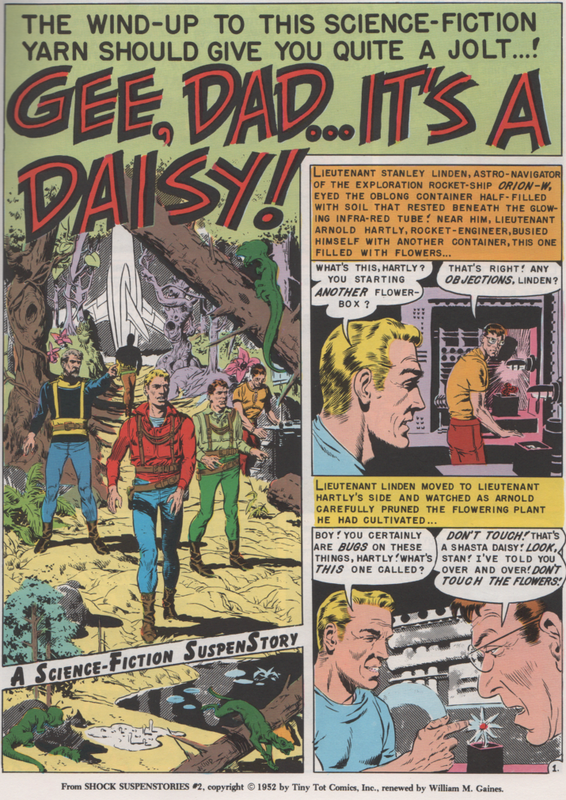 Written by Al Feldstein (with plot assist by Bill Gaines), art by Wally Wood. 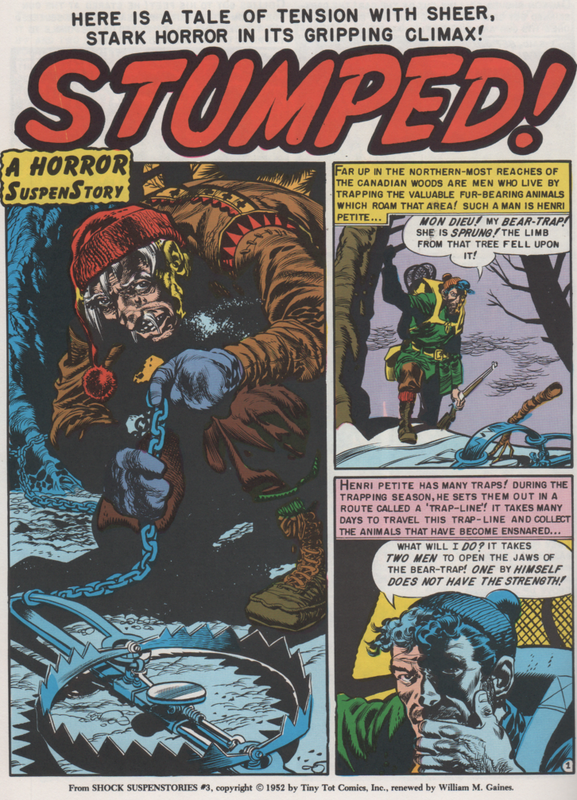 “Stumped” is a wild story involving a trapper and his demise. 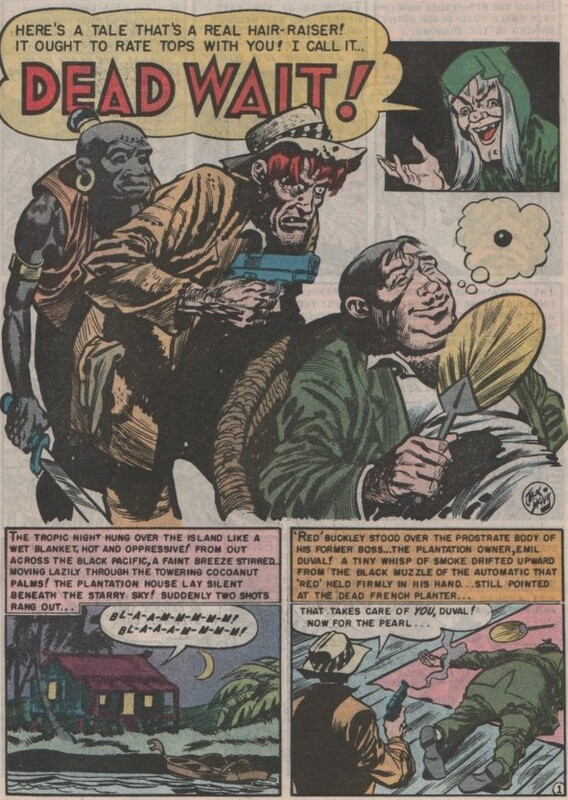 Written by Al Feldstein (with plot assist by Bill Gaines), art by Jack Davis. The old story Hansel and Gretel is the foundation of this tale, and two children end up headed for an old witch’s oven! 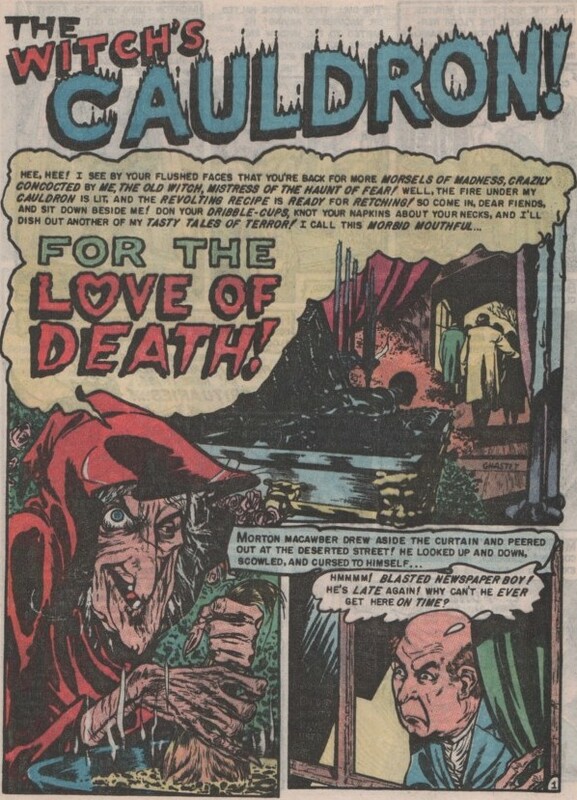 Written by Al Feldstein (with plot assist by Bill Gaines), and art by Ghastly Graham Ingels. Finally, one of my favorite tropes is used, as an insane husband not only kills his wife, but then carves her up and puts her in a meat freezer (“Cold Cuts“). Lets just say later he gets a taste of some bad meat. 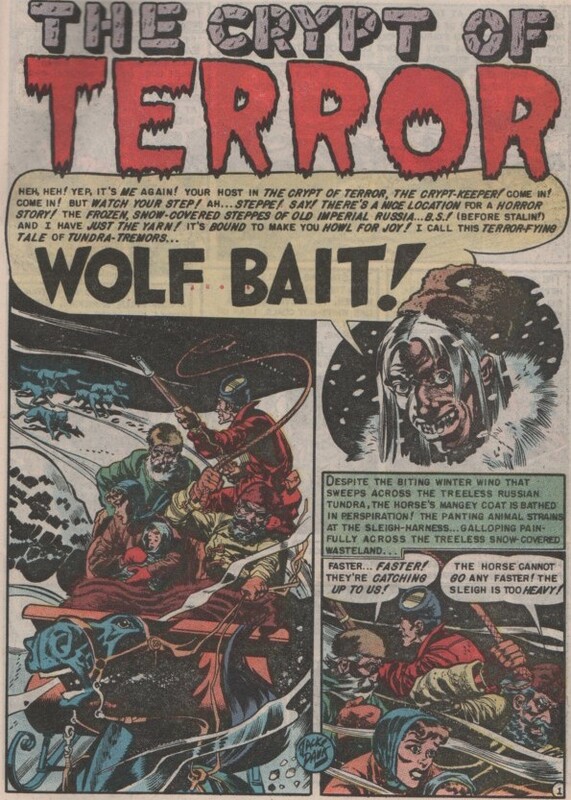 Written by Al Feldstein (with plot assist by Bill Gaines), art by Jack Davis. As time marches on, these EC books get more and more expensive, but the reprints can still be found at a reasonable price. Search them out at shows, or on the web, as they can bring you some of the best (if not the best) horror comics ever made. 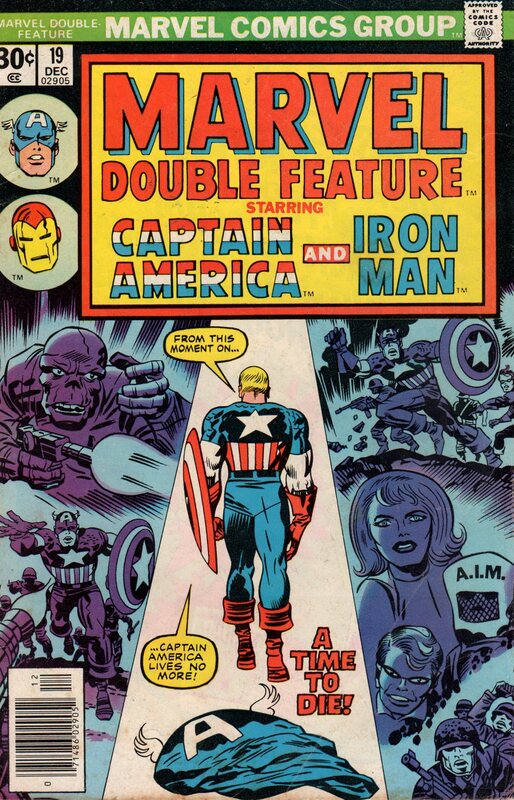 Both of the covers were done by none other than Wally Wood! 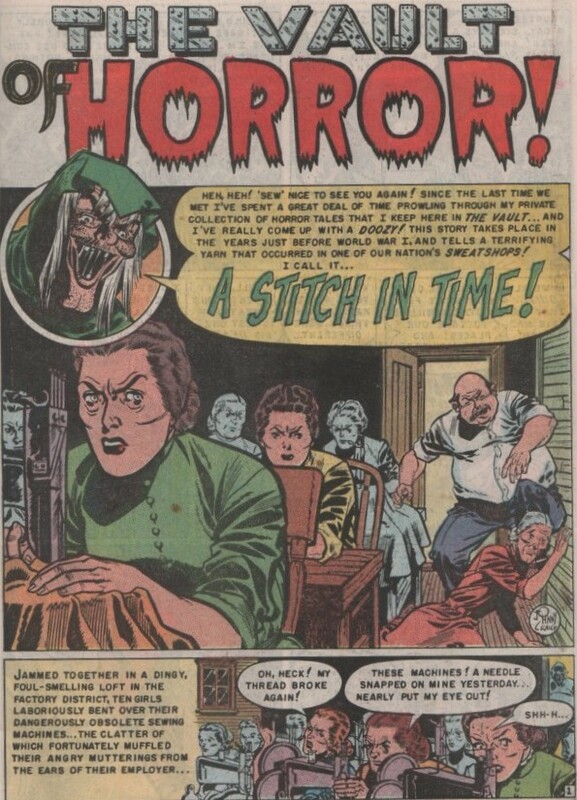 To say that EC comics was the fore-bearer of just about everything in horror comics that came after them, would not be too hyperbolic. Back in 1949/1950, Bill Gaines decided to take the company in a new direction. That direction was horror, crime, suspense, etc. All new material with an edge to it that had never been seen before in comics. EC blazed a trail that made it possible for any other publisher to push boundaries like never before seen in the industry. Not only that, the content was amazing. They just didn’t go for blood and guts with no substance, they had good stories, and excellent artwork by some of the greatest horror artist (and artists in general) of all time. 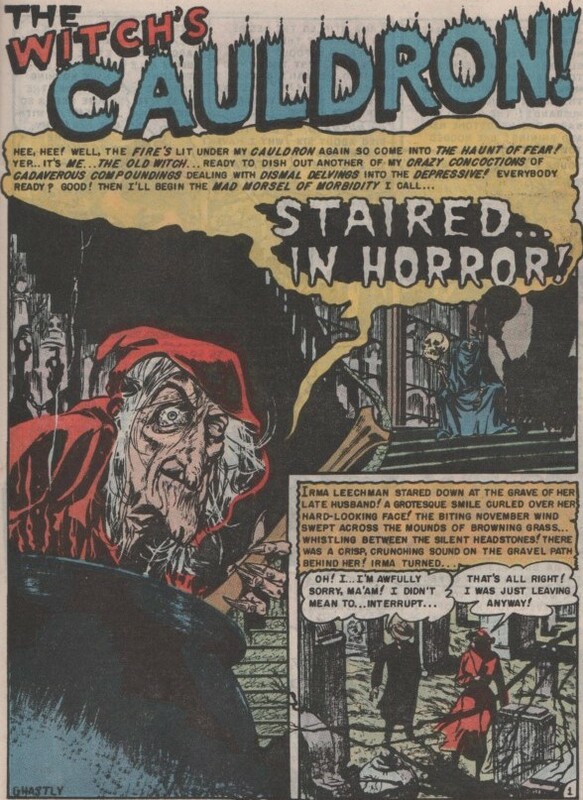 “Ghastly” Graham Ingals, Johnny Craig, Jack Davis, Wally Wood, Reed Crandall, Jack Kamen, Frank Frazetta, Al Williamson, John Severin, Basil Wolverton, and more! 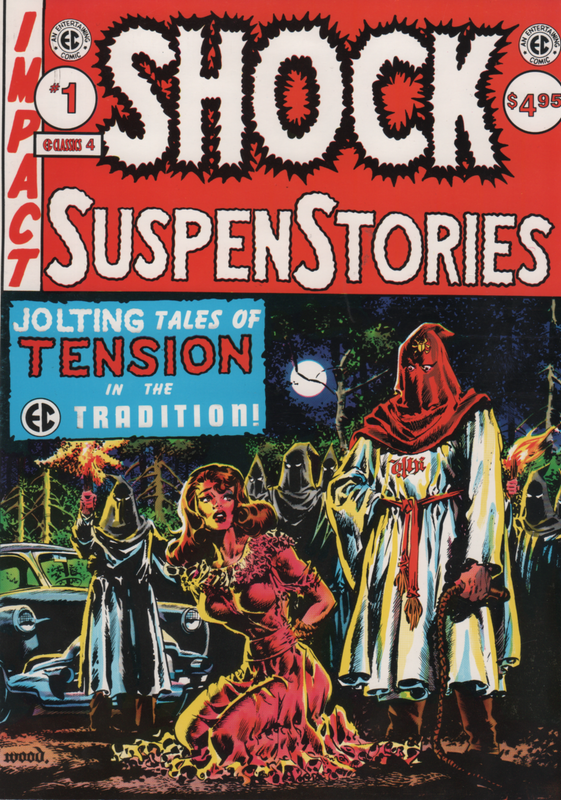 In this reprint, we see two issues chocked full of horror goodness. 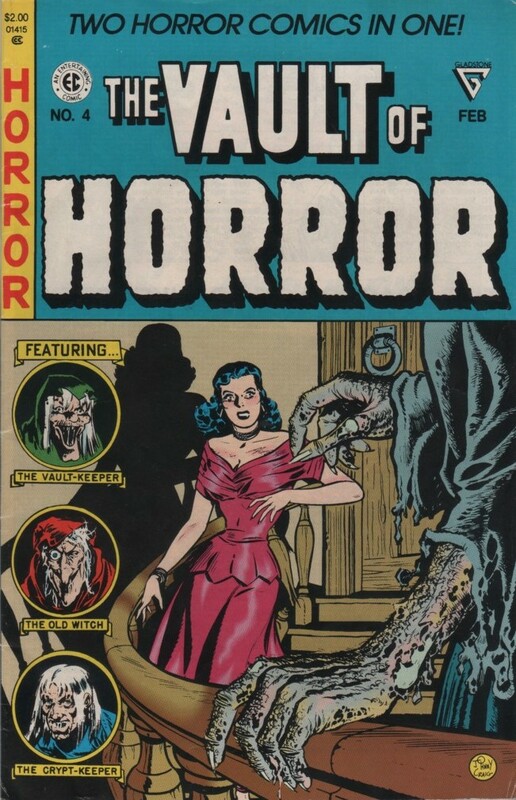 Vault of Horror 23, 1952, and Haunt of Fear 13, 1952. In both issues not only do you get the iconic horror hosts that helped make EC famous, but the pages are full of stories that will blow your mind when taken in the context of the year they were produced. 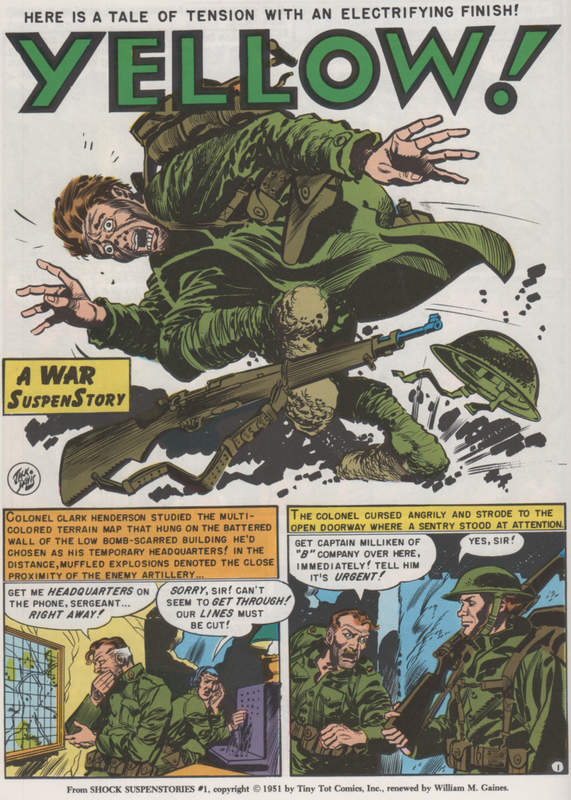 Think about it, The Adventures of Superman, Ozzie and Harriet, and Roy Rogers were on television that year, so just imagine comic books featuring strong, mature content. 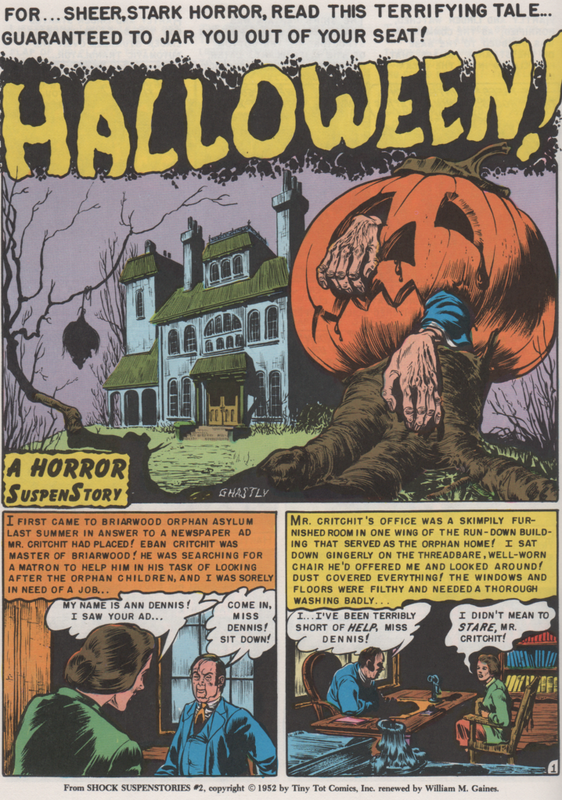 It was a huge risk, but also ended up being a huge success and put EC comics into orbit. As time marches on, back issues from the Silver Age and even the Bronze Age are creeping up in price. The scarcity of these gems is becoming a fact, and it drives the prices up. This is why I choose to go the route of reprints (the majority of the time)! Yeah, sometimes the colors are muddled with or the covers are tweaked, but I can live with that, as long as I get to read these marvelous books. 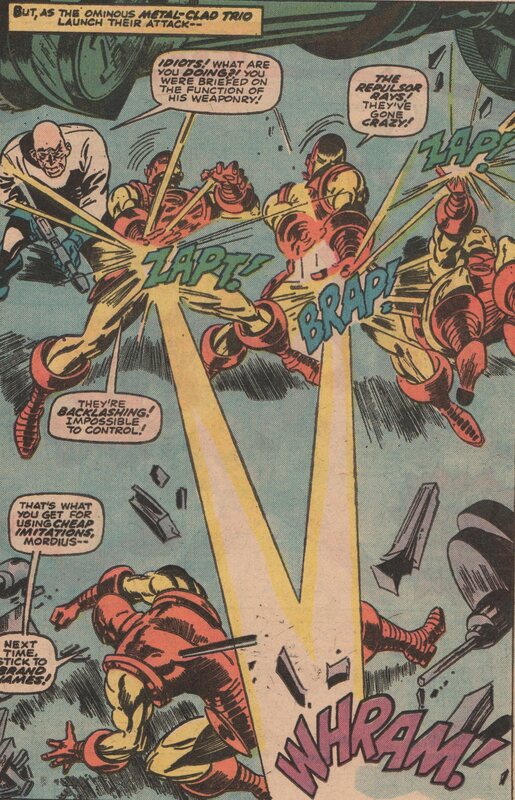 In this fantastic issue, we get not only get a Captain America story, but also Iron Man! Both are classics, and have great creative teams behind them. 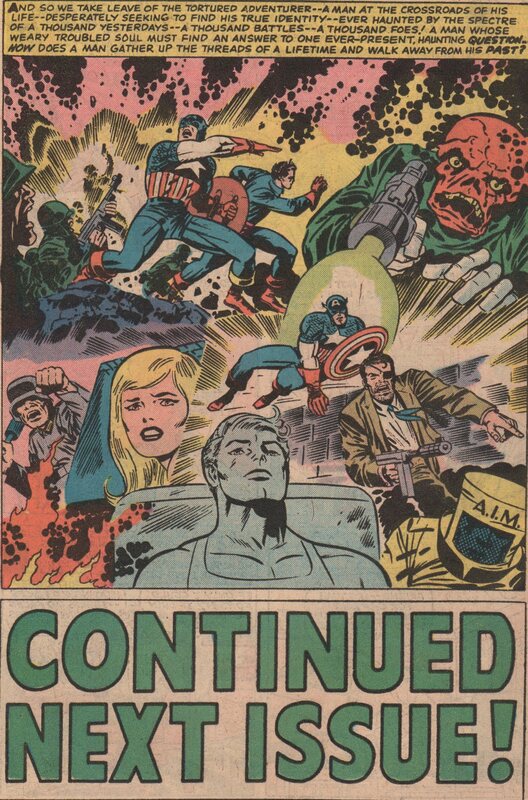 Speaking of creative teams, is there anyone that drew Captain America better than Jack “King” Kirby (cover and interior pencils)? 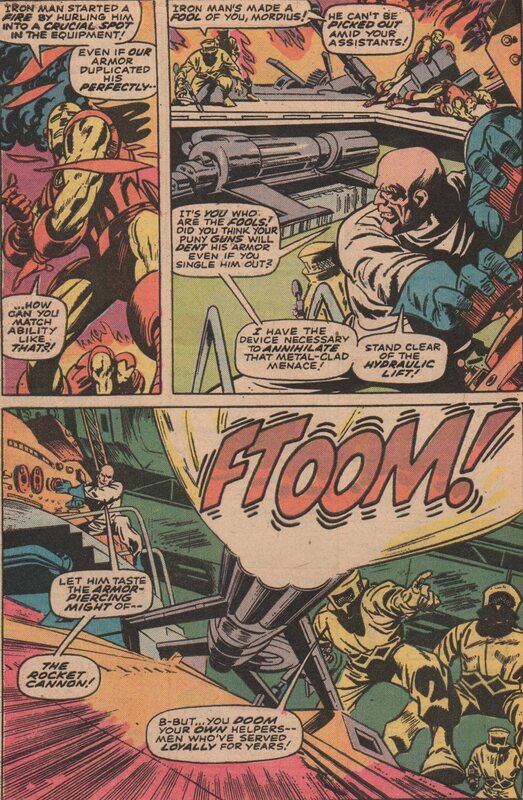 Others have done fine work (Byrne, Romita, etc. 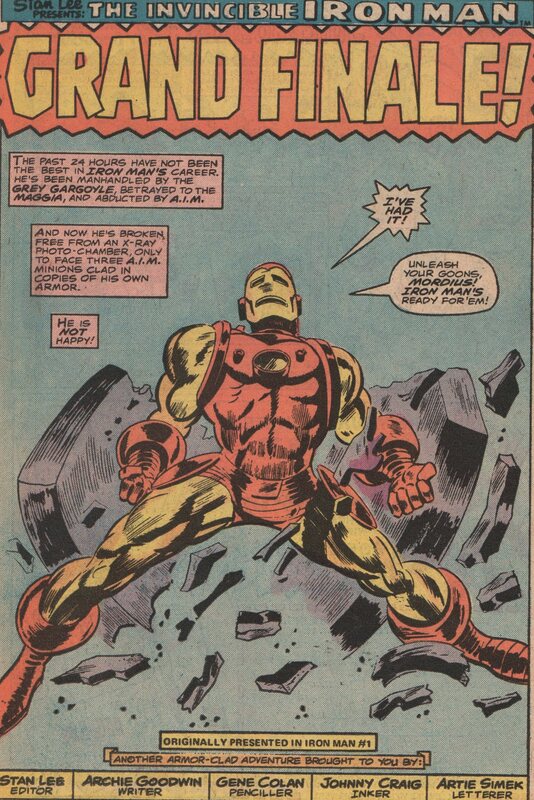 ), but no one seemed to really capture the essence of the character quite like the king! 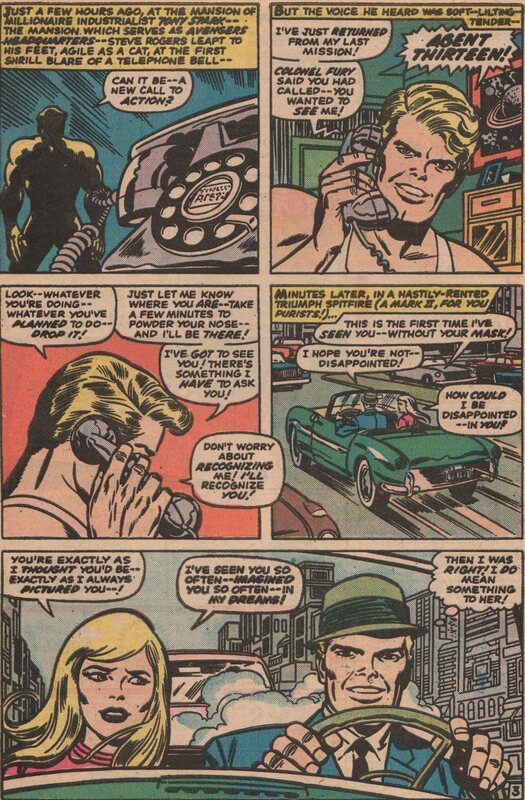 And who better to ink this story than “Joltin'” Joe Sinnott! 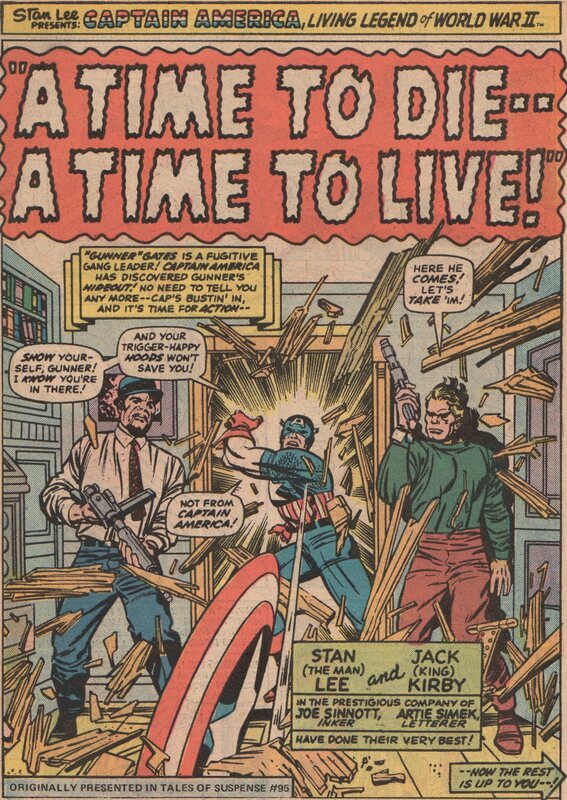 Written by Stan Lee, and lettered by Artie Simek. 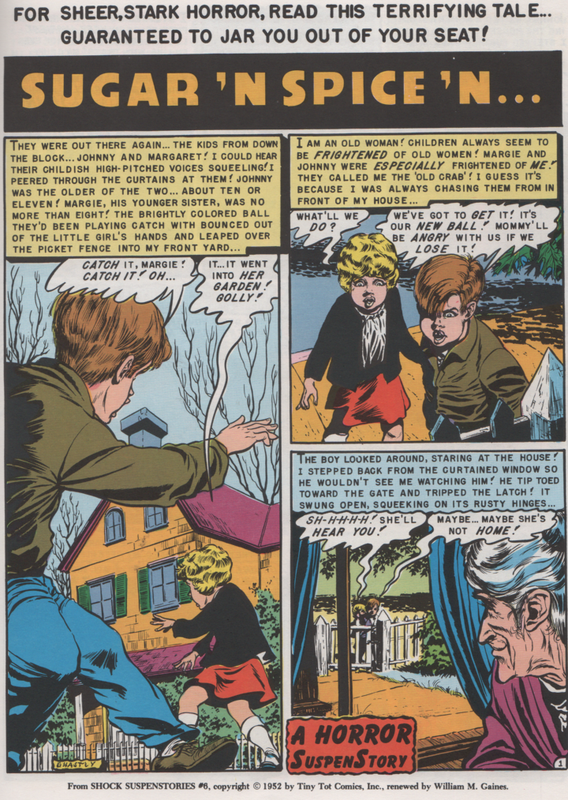 The second story, was written by “Amiable” Archie Goodwin, the pencils by Gene “The Dean” Colan, inks by Johnny Craig (yeah, that E.C. Comics legend! 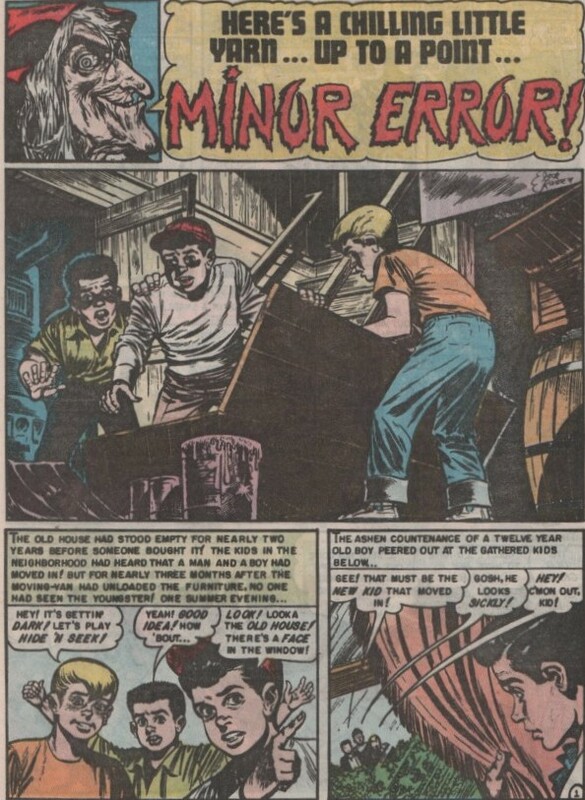 ), and letters once again by “Adorable” Artie Simek!